Below you can view all the homes for sale in the Montagne Marron At Southern Highlands subdivision located in Las Vegas Nevada. Listings in Montagne Marron At Southern Highlands are updated daily from data we receive from the Las Vegas multiple listing service. To learn more about any of these homes or to receive custom notifications when a new property is listed for sale in Montagne Marron At Southern Highlands, give us a call at 702-323-5933. 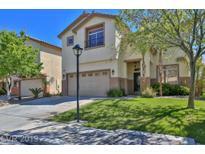 A Great Room Upstairs With 3 Other Bedrooms.Large Backyard And Gated Nice Community MLS#2089721. Show Vegas Realty. Close To Shopping,Schools,Freeway Access And Entertainment.Open Floor Plan With Formal Entry Living Room,Gourmet Kitchen W/Stainless Appliances,Granite Counters.Bed/Bath Down Stairs,Oversized Loft Up And Master Bedroom Seperate From Others.Private Yard With Pool And Spa Perfect For Entertaining On Those Warm Vegas Days! !call Us Today! MLS#2088874. LIFE Realty. Master Is Connected To A 4th Bedroom That Can Be Used As A Nursery Or Exercise Room...Covered Patio...Sun Deck...Waterfalls... This Wont Last Long! ! MLS#2080854. NextHome Integrity. Stainless Steel Appliances And Washer Dryer Inc MLS#2080966. Innovative Real Estate Strateg. Clean Laminate Floors and New Carpet throughout the home. Deep Cleaned and Move-In-Ready. MLS#2069199. TR Realty. Huge pool sized backyard W/ covered patio. Close to schools and parks. MLS#2066443. RE/MAX Advantage. 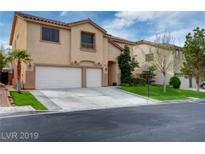 Spacious 1 Story 3 Bedroom Townhome W/Sun Room In The Gated Community Of Southern Highlands, Features Vaulted Ceilings, Open Floor Plan, New Floorings In The Great Room & Bedrooms, Furnitures Are Included @ As-is Conditions, Move-in Ready, Excellent Value !! ! MLS#2064998. 1st Priority Realty, LLC. Community pool along with common area maintenance is part of the HOA. MLS#2057850. Opendoor Brokerage LLC. A community pool is part of the Montagne Marron HOA. MLS#2056980. Opendoor Brokerage LLC. LMaster Bedroom includes a bonus den/sitting room, walk-in closet, & shoe closet! MLS#1988943. Keller Williams Southern Nevada.